B&Q is putting creativity at the heart of its positioning with a new strapline that encourages DIY fans to move beyond thinking in "black and white". 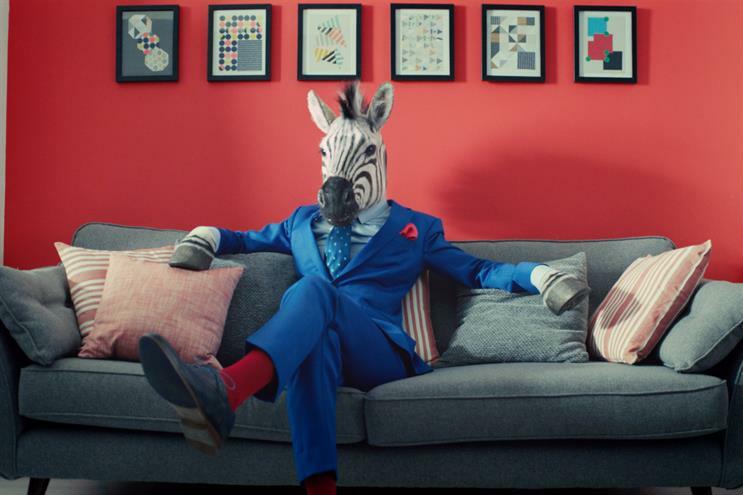 The campaign stars an anthropomorphic zebra family and introduces the new ‘let’s create’ strapline, which aims to convey the message B&Q is not just a warehouse stacked with DIY products but a "treasure trove" full of materials that can transform a home. B&Q’s change in strapline follows on from the departure of customer and marketing director Chris Moss in October. Under Moss the company launched an ‘unleash the B&Q in you’ strapline. His position has been filled by former Tesco brand communications director Natasha Gladman. Gladman said: "Building on customer insights, B&Q's new 'Let’s Create' campaign will engage with customers in a different way – it’s all about projects and the way we can help and inspire customers to create homes to feel good about. "With a more down to earth tone, the campaign creates more optimism, energy and encouragement." The campaign, which was created by WCRS, launches on Facebook today and TV tomorrow (18 March). Creative is shot in the style of a mockumentary to showcase how the retailer has helped unlock creativity in its customers, who in this case happen to be zebras. The son Fred creates a colourful first home after growing up in his parent’s black and white world. The campaign has been launched in time for the Easter break, the DIY industry’s busiest period in terms of sales. Activity will also include an increased use of digital and social channels.